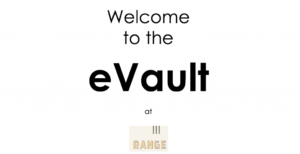 The Year of eClosing: Fannie Mae's New eVault is Here! The Year of eClosing: Fannie Mae’s New eVault is Here! We are thrilled to announce that Fannie Mae’s new modern, scalable eVault solution that supports a fully digital mortgage experience is now live! To celebrate this milestone, the eOriginal and Fannie Mae teams came together for a kick-off party at Range in Washington, D.C. Speeches were given by both parties and the energy in the room made it abundantly clear that the Fannie Mae/eOriginal Partnership is creating positive momentum for the mortgage industry. As you may recall, earlier this year, Fannie Mae selected eOriginal to lead its next generation electronic vault with the goal of advancing the digital mortgage revolution and removing obstacles to eMortgage adoption through a modern, secure and scalable platform. Why is Digital Mortgage Important? Increases velocity of capital through a faster delivery into the secondary market. Enables the secure management of electronically signed assets (eNotes) throughout their post execution life. It has been a monumental year for mortgage and we are thrilled to be part of the conversation. If you’re ready to move to a secure, scalable, paperless process, we’d love to chat. 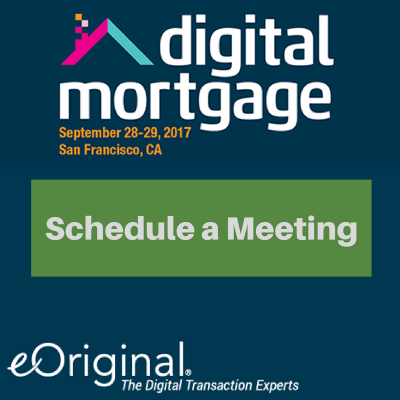 Please include eOriginal in your itinerary for Digital Mortgage 2017 in San Francisco. eOriginal’s Digital Mortgage Experts will be on hand to bring your company into the 21st century. This entry was posted in Digital Mortgage, eMortgage, Events and tagged Fannie Mae.